Everyone wants more visitors to their website. One of the most effective ways to increase traffic to your site is to have your content rank prominently in the search engines. But how do you go about doing this? That is exactly what you are going to learn in this guide on how to optimize your content for search engines with Yoast SEO. In this article we will discuss what search engine optimization is and why you should use the free Yoast SEO plugin for your WordPress website. 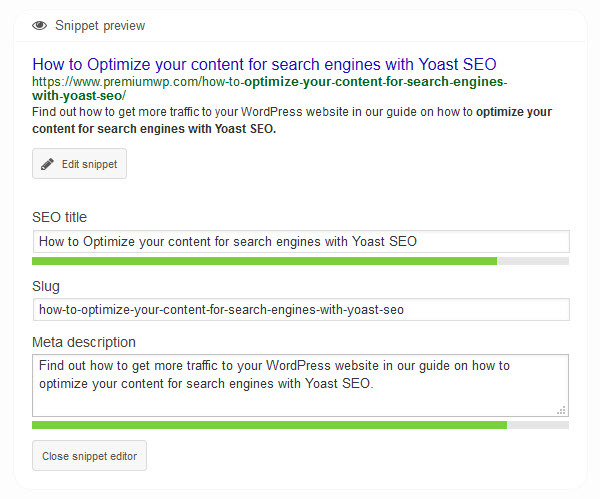 We will then look at how to install, setup and use Yoast SEO to best optimize your content. The term search engine optimization means making sure your website and its content is search engine friendly. The purpose of this is to rank well in the search engines and consequently get more visitors to your site. The main search engine is Google. That is the search engine you are aiming to rank well in. However, optimizing your content for Google will help your site appear within the other search engines too. No one knows exactly the top secret algorithm that the Google search engine uses to rank sites. But we do have a good idea. Always keep in mind that the criteria Google uses to evaluate sites and their content does change regularly, which can upset the position of your pages from time to time. There are two main factors that help improve search engine optimization. Onsite and offsite. Offsite involves what other people can do, for example, link to your site. Onsite is literally what you can do on your site. This is where you can make a dramatic difference day to day. In this article we will look specifically at onsite search engine optimization using the WordPress plugin, Yoast SEO. Yoast SEO is a free WordPress plugin that will help you to optimize your content more effectively. Although there are many SEO plugins around, with over one million downloads, Yoast SEO stands out from the crowd. As with most WordPress plugins, Yoast SEO is quick and easy to install. 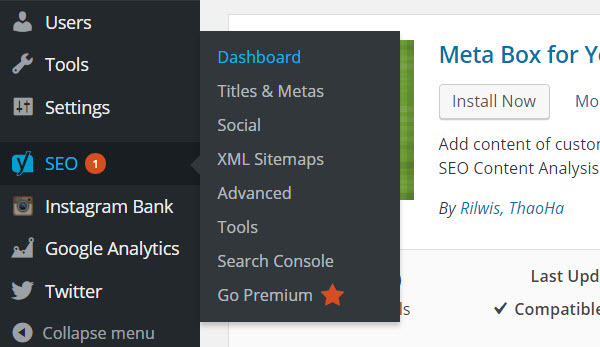 In your WordPress dashboard, under ‘Plugins’ select ‘Add New’. Type ‘Yoast SEO’ into the search bar and, once the plugin appears, select ‘Install Now’. After the plugin has installed select ‘Activate Plugin’. Once Yoast SEO has been installed and activated you need to setup the plugin. The global settings will get you started and help to optimize your entire site. In your WordPress dashboard, under ‘SEO’, select ‘Dashboard’. Now select the ‘General’ tab. Here click on the ‘Optimize the Installation Wizard’. Here Yoast SEO will ask you a series of questions about your site and setup the plugin for you. Once this is completed, select the other tabs to add or enable any extra details and settings you may want. You should also optimize your content for social media. Under ‘SEO’ select ‘Social’. The Installation Wizard will already have added your social media profiles. Go through and select each tab, Facebook, Twitter, Pinterest and Google+. Follow the instructions for each to fully setup these social media platforms with your site. Specifically you can enable metadata to be used when your content and pages are shared, which will help with your content optimization. An impressive feature of Yoast SEO is that it enables you to optimize each page and post that you publish on your WordPress website. Under each page and post on the WordPress Editor screen you will find a Yoast SEO box. This box helps you understand the readability of your content, how well optimized it is, and what you can do to improve it. 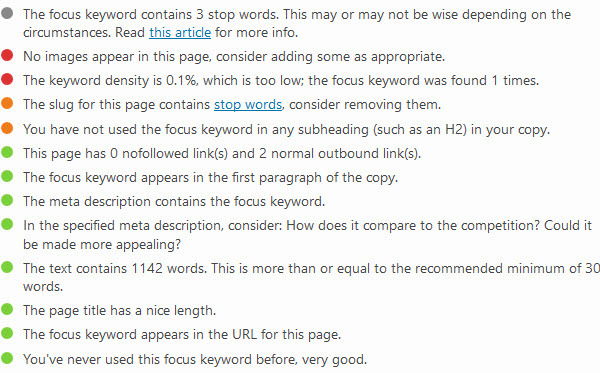 Yoast SEO shows an analysis of the readability of your content. The dots next to each statement will change colors, from red to orange to green, depending on how well you have addressed each point. Yoast SEO likes writing to be easy to read, as this may help your content rank. The plugin uses the Flesch Reading Score to judge the readability of your writing. Easy reading also appeals to the majority of audiences, so writing in layman’s terms is usually a win win situation. Yoast SEO also likes to see short sentences and paragraphs, transition words being used, and the passive voice kept to a minimum. Under the ‘Publish’ section on the page, Yoast SEO will give you an overall, ‘Great’, ‘Good or ‘Needs Improvement’ grading. It is thought that search engines prioritize content that is user and reader friendly. However, more important than getting a green dot on your Yoast SEO readability score, is writing for your readers. Always keep your audience in mind, don’t make the plugin happy at the expensive of your readers. When you write an article, whether it’s a post or a page on your website, you should have a keyword or phrase in mind. Try to include the key phrase within your content, but don’t over do it. It is through these key words that people will find your work when they search in Google. In the Yoast SEO box, next to ‘Focus Keyword’ add your keywords into the box. Select ‘Edit Snippet’, and enter information for the ‘SEO Title’ and ‘Meta Description’. This should be a description of your post and why people should read it. Again, include the keyword or phrase. Then select ‘Close Snippet Editor’. Underneath, the ‘Analysis’ tool will tell you if you have used the keyword enough, and in the right places. The plugin likes to see the keyword throughout the text, in the title, first paragraph, subheading, and numerous other places. There is also other criteria, like using links in your article and filling out the meta description. By covering all of these points your content should be well optimized for the search engines. 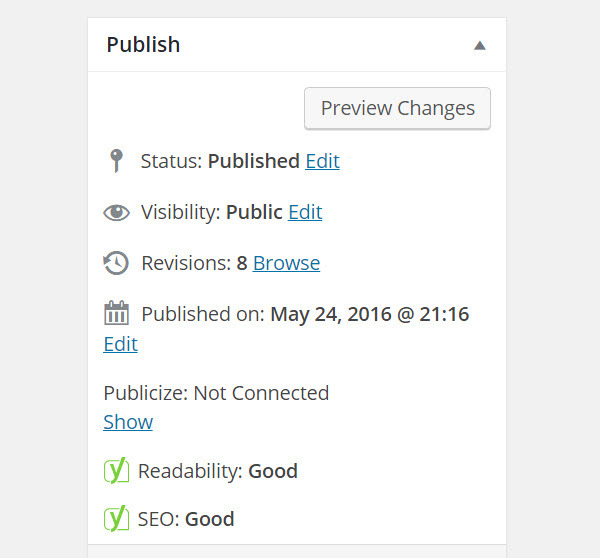 You don’t need all of the content checks to turn green to give you an overall green in the ‘Publish’ box, so don’t worry too much about a few stray oranges or reds. However, it is important that the final SEO score is ‘Good’ as this is an indicator that your content could rank well. Although the free Yoast SEO plugin has great features, if you are looking for something extra then you can upgrade to their premium solution. Amongst other things, this offers multiple focus keyword optimization, social previews enabling you to check out how your posts will look on Facebook and Twitter, and advanced support from the Yoast SEO team. 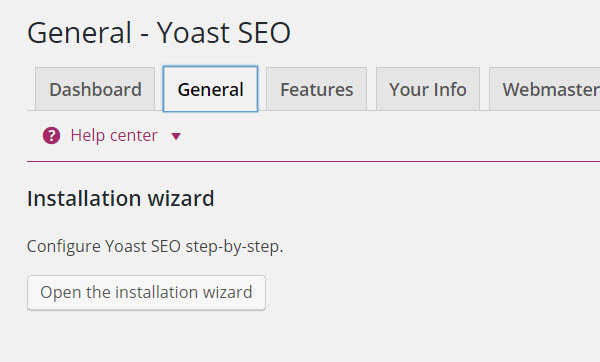 This is really a wonderful post about how to install and configure Yoast SEO plugin. Recently I’ve installed this plugin and I was wondering how to setup it properly to optimize my site content. This tutorial helps me to understand it. Thanks for your comment, so glad the article has helped. Hope your site is going well.